Designed for ease of irrigation flow measurement, the new Dura MagTM flow meter from McCrometer provides precise, reliable flow data for water management. With a 5 year battery life, Dura Mag eliminates the need for AC power connection, while providing the easiest installation for a flanged mag flow meter. The Dura Mag flow meter’s intelligent converter with digital display and onboard datalogger is powered by three high capacity D batteries. The batteries are designed for a five-year service life, can be replaced quickly in the field in less than 10 minutes without any special tools and include a comprehensive three-year warranty. The converter features a spring-loaded canopy lid to protect it from extreme weather and harsh sunlight. The converter’s push-button display and onboard data logger show and record flow rate and totalized flow, with dual alarm alerts for empty pipe and low battery. Dura Mag builds on McCrometer’s proven electromagnetic sensing technology, which combines intelligent sensor and converter design with advanced materials for accurate measurement, long-life and low maintenance. The meter’s fusion-bonded epoxy coating requires no liner, eliminating the risk of liner separation and water intrusion through the meter body. Suitable for service in line sizes from 4 to 12 inches, Dura Mag operates over a flow range of 20 to 10,000 gallons per minute. It is accurate to ±1% of flow or ± 0.075% of full scale. Standard installation requires just 2 diameters of straight pipe upstream and 1 diameter downstream. The Dura Mag Battery Powered Mag Meter is ideal for a wide range of applications, supporting irrigation, well monitoring, water distribution, chemigation (downstream), dairy lagoons, sandy water, surface water, golf courses and more. 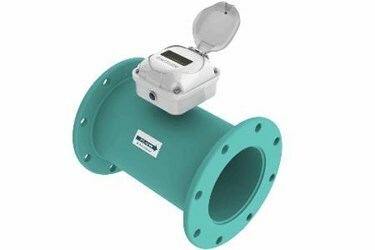 McCrometer’s advanced flow measurement solutions solve complex challenges in Agricultural Irrigation, Municipal/Industrial Water & Wastewater, Oil & Gas, Process Control, Electric Power Generation and Institutional Facilities. The company’s products and systems are found in thousands of installations worldwide. Its products and systems meet many of the world’s most demanding industrial, safety and quality standards. Visit us on the web at www.mccrometer.com.